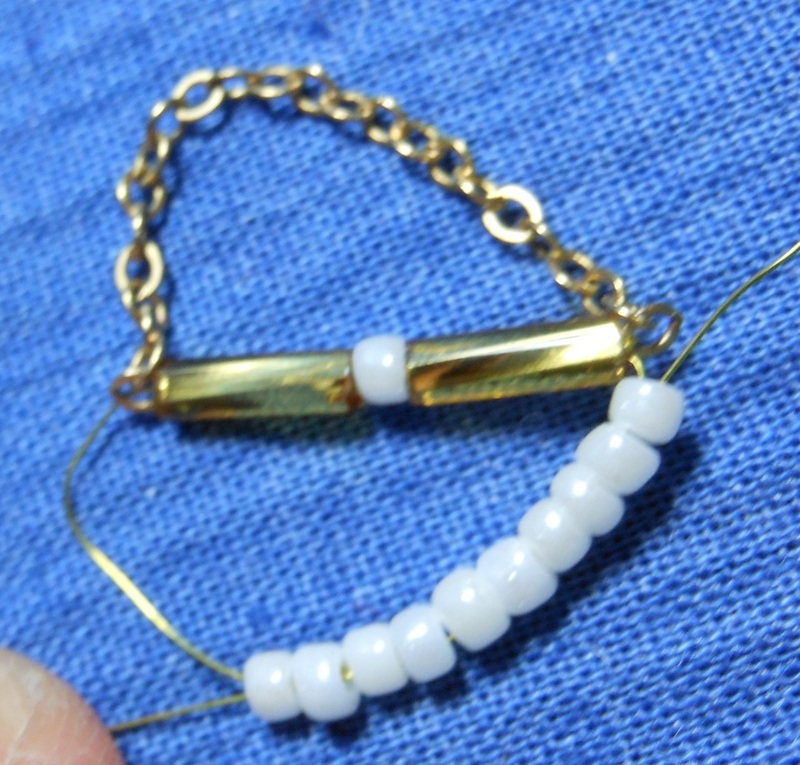 Row 1: String one end of chain link, 1 bugle bead, 1 seed bead, 1 bugle bead and then the other end of the chain link on to the center of your wire. 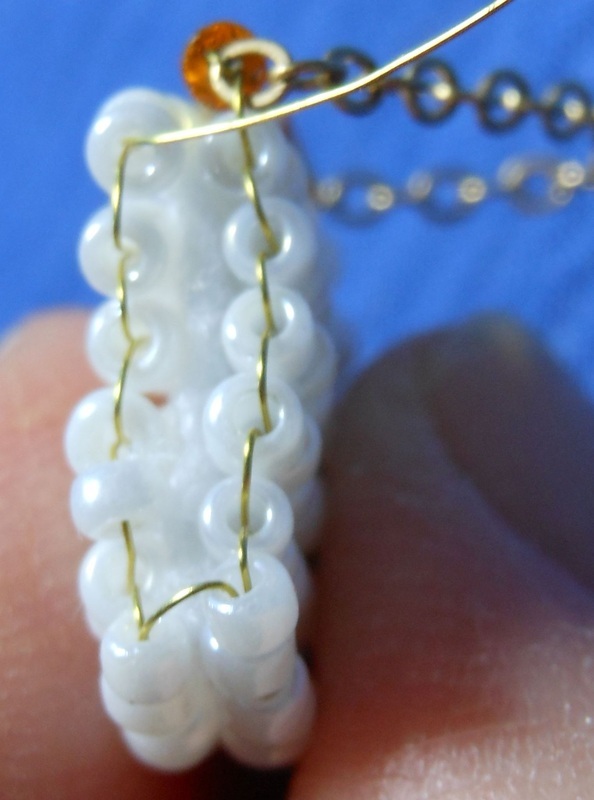 On the right side, * skip the chain link and run your wire back through all of the other beads and chain link loop making sure the beads are centered on your wire and pull to tighten. Starting at * do the same with the other or left side of your wire. 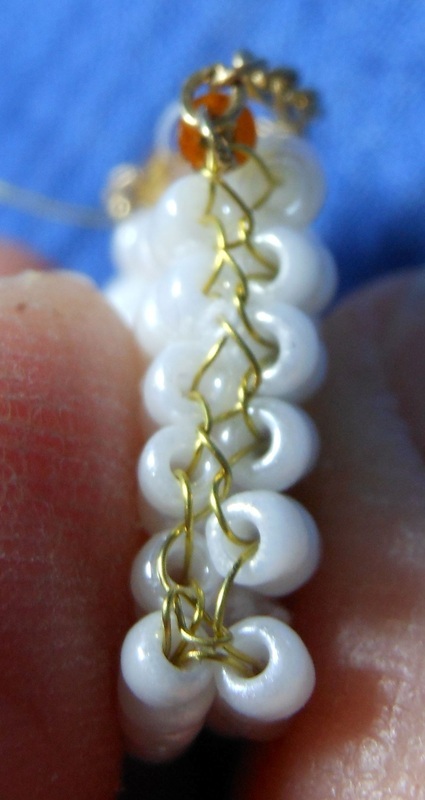 You should now have a wire on each side of the beads again with your work in the center of the wire. 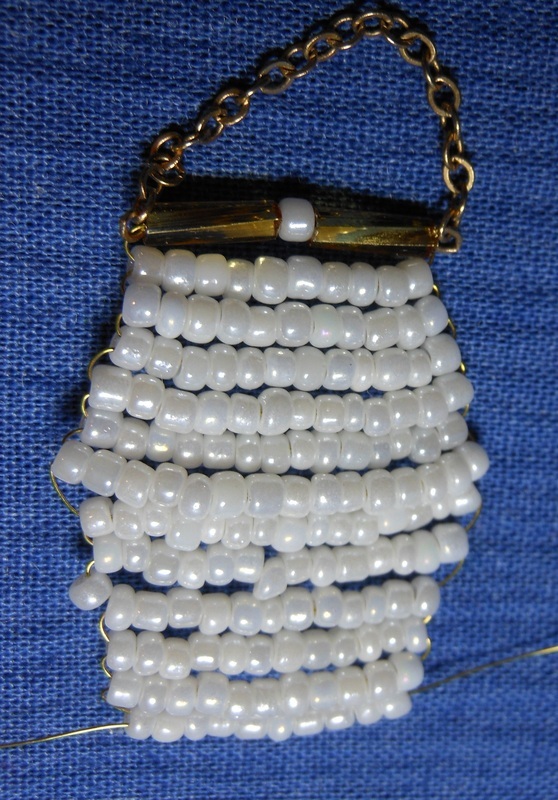 Row 2: String on enough beads to fit under Row 1 on right side of wire. My example took 10 beads but if you are using smaller or larger beads it will vary. With left side wire, string through all beads on right wire (both wires will be in beads now) and pull your wire up tight. Row 3: String 11 beads on your right side wire, *(one more with each row as you go) string left wire through beads and pull up tightly. 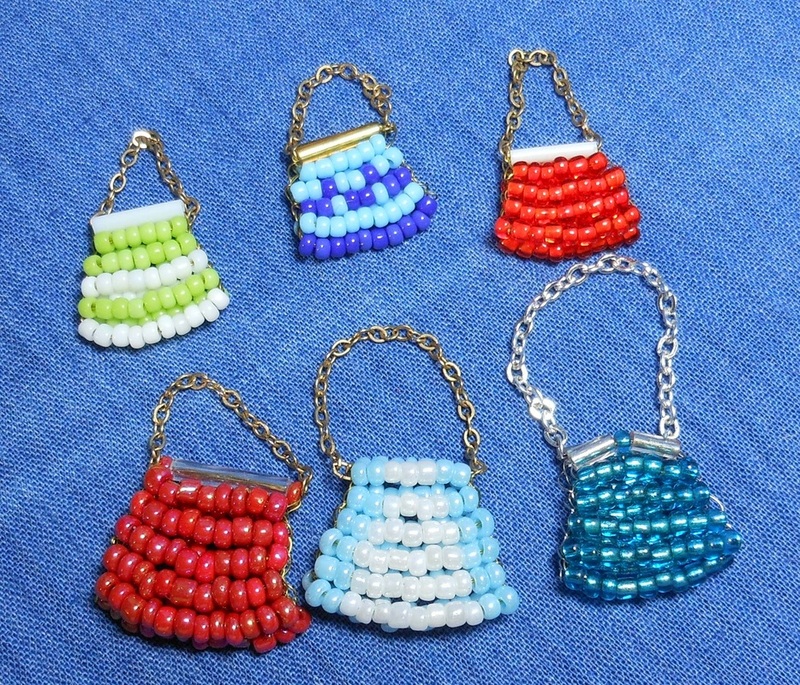 Rows 4-7: Continue to add one extra bead per row until your purse is large enough for your liking. I added 12, 13, 14 and 15 beads to mine. This makes up half of the purse. Rows 8-13: Repeat row 7 (mine was 15 beads) and then begin to subtract one bead per row until you are back down to the number of beads you began Row 2 with. 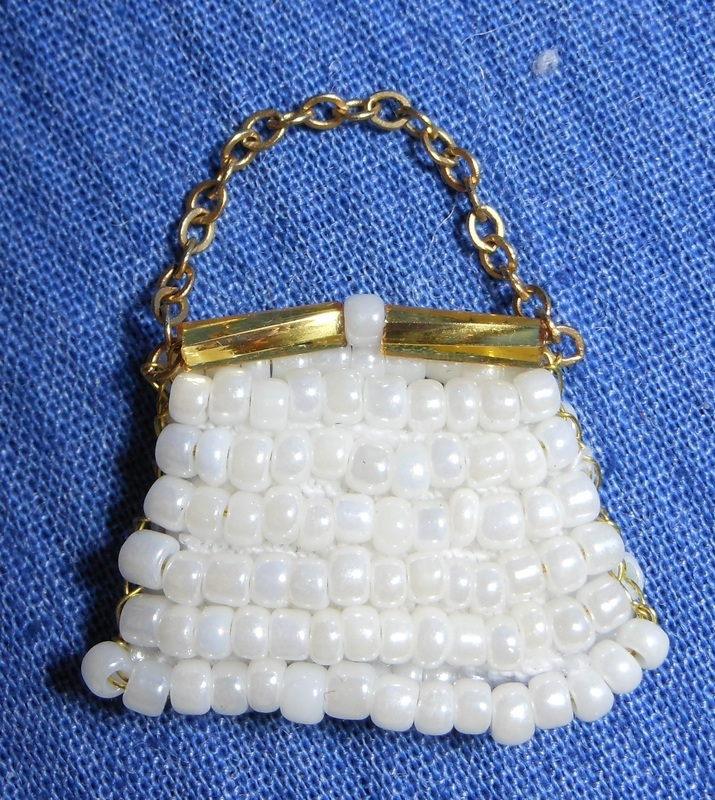 Fold in half and over to form back of purse. 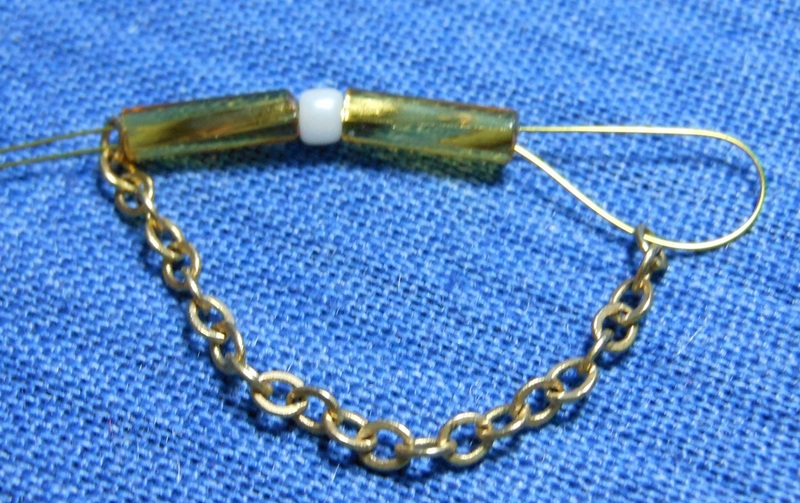 Row 14: On the right side of your purse, slip wire through the chain link and into Row 1 side. Continue to “lace” down the side of the purse by going from one wire loop to the one across from it. 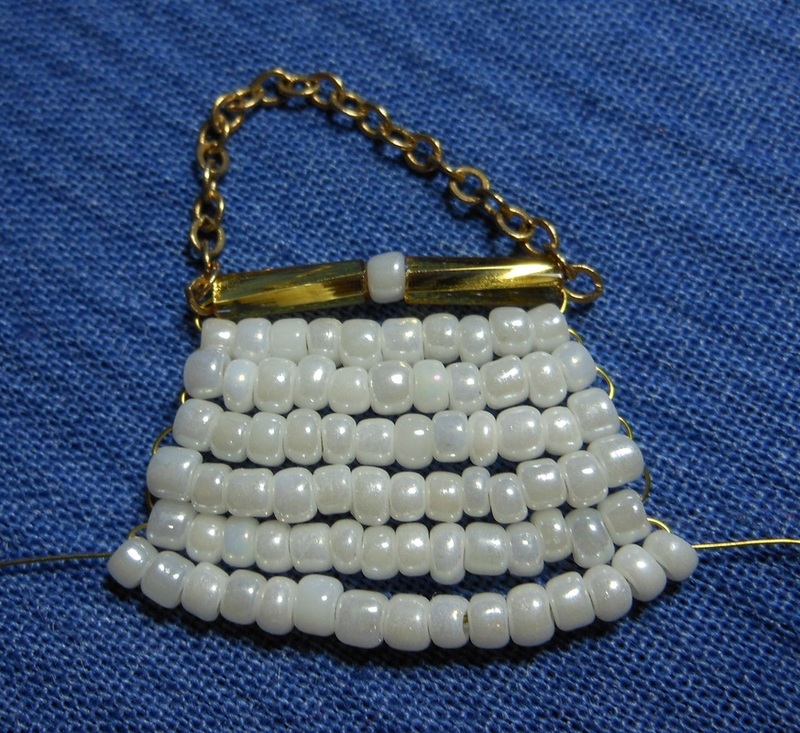 When you reach the bottom of the purse (Row 7), slip the wire into the beads of one of the rows and clip off if needed. 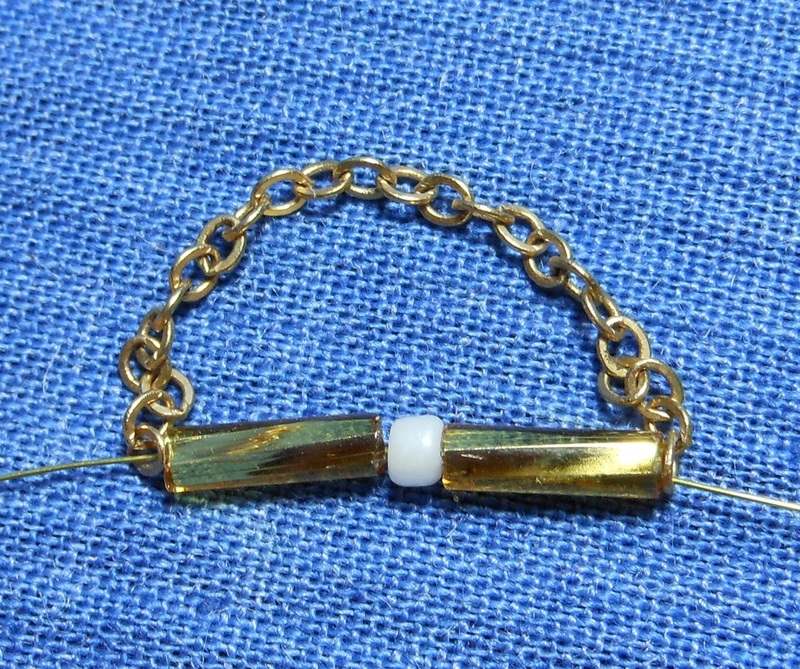 Do the same with the left side wire and finish off.